I keep saying this… I’m not MIA — but really… I am not missing. I’ve been quite involved with Orisha Wisdom…. so I am around. However… I’v been missing my Creative-Ness… and the bug has bitten again. Everything within Olubunmi Creations is of course Culturally derived… and with the Africanese flavor… and that is something that I am very proud of…. So…. the bug has bitten…. but Ofo Ase… has been quite an area of focus for the past 18 months. What is Ofo Ase? 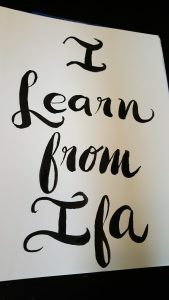 It’s a Yoruba Saying – Power of the Word…. Why is this important? It’s important, because the words that we use… bring about power. What we tell ourselves… bring us power… or decline in power. 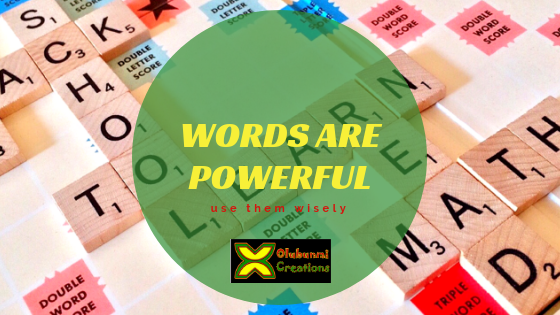 Words can help uplift, or shoot someone down! Words are made into prayers, praise, and energy raisers. 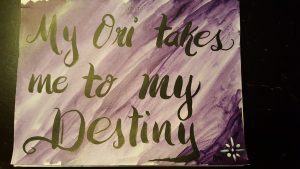 Lately, I’ve been focusing on the meaning of Ori Work (Working with one’s personal divinity – Our Highest Self)… AND I’ll be bringing forward some words of Power….. I’m truly happy bringing together two platforms that are meaningful to me. Enjoy… and much more to come.